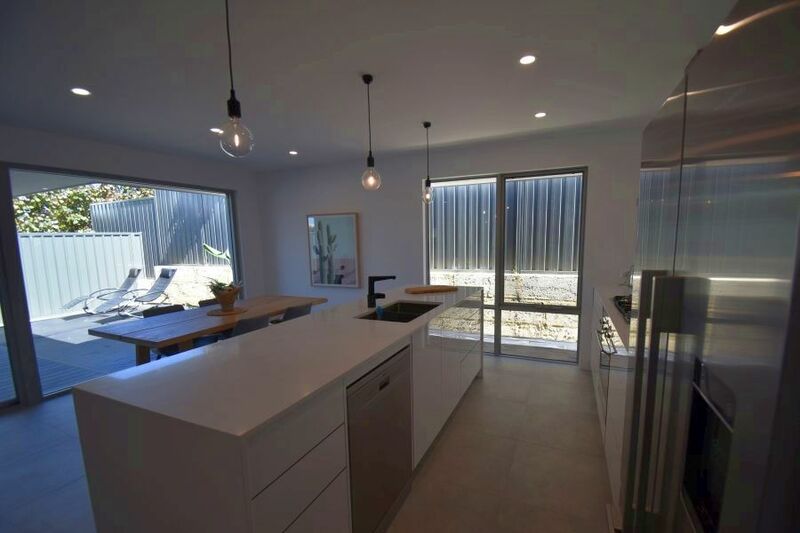 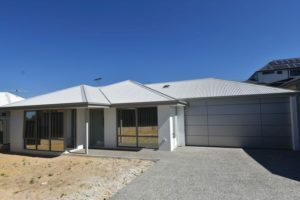 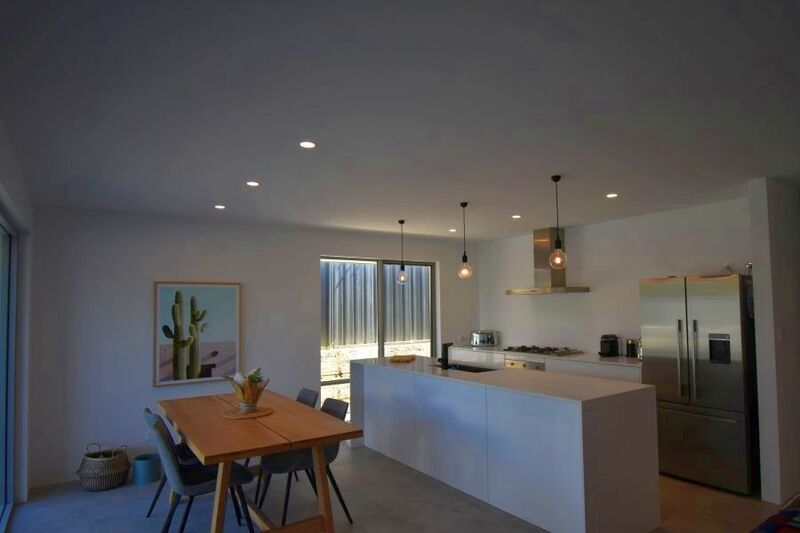 This property oozes style, a light, bright near new single storey 3 x 2 home which has been finished to a high standard. Located in a quiet cul de sac in this up market coastal suburb with Hillary’s Boat Harbour, Whitford’s Shopping Centre, beaches and great cafes & restaurants close by. With tiled flooring flowing from the entry through to the rear open plan dining/ kitchen/family room with fabulous kitchen. The trendy kitchen has all the bells & whistles with stone bench tops, stainless steel appliances including 5 ring gas stove top, under bench oven and extractor over. There is ample bench & cupboard space, tiled splashback, dishwasher space and double fridge recess. Tiled family/dining area is to have a split system a/c unit installed shortly. 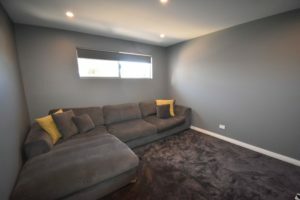 Separate Theatre room with internet TV connections. 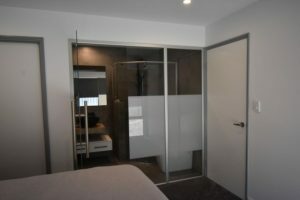 The king-sized master bedroom with ceiling fan (installed shortly) has large walk in robe and trendy fully tiled en suite with funky glass doors, vanity, shower and toilet. 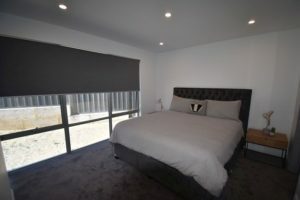 The 2 minor bedrooms are both queen sized with built in sliding mirror robes. 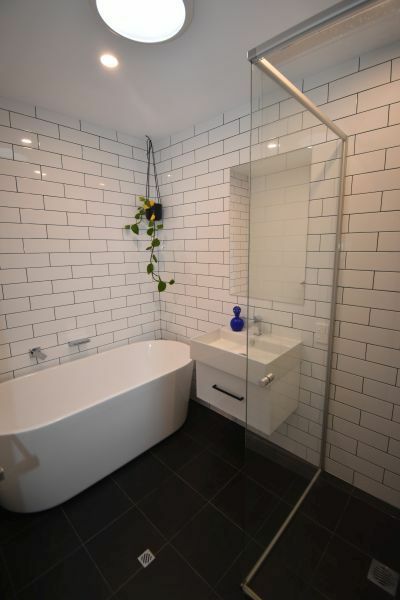 Fully tiled main bathroom with free standing bath, subway tiles, vanity, shower and toilet. Laundry with linen press in the hallway. 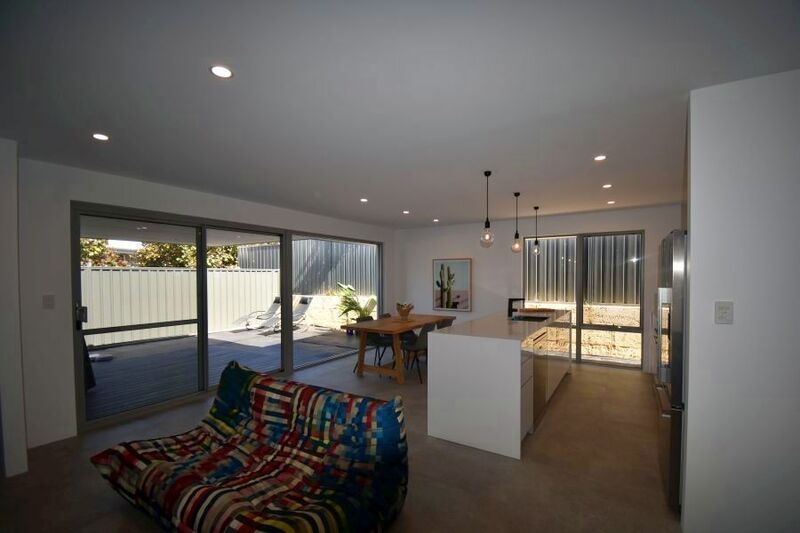 Eco Timber decked alfresco with rear private gardens all low maintenance. 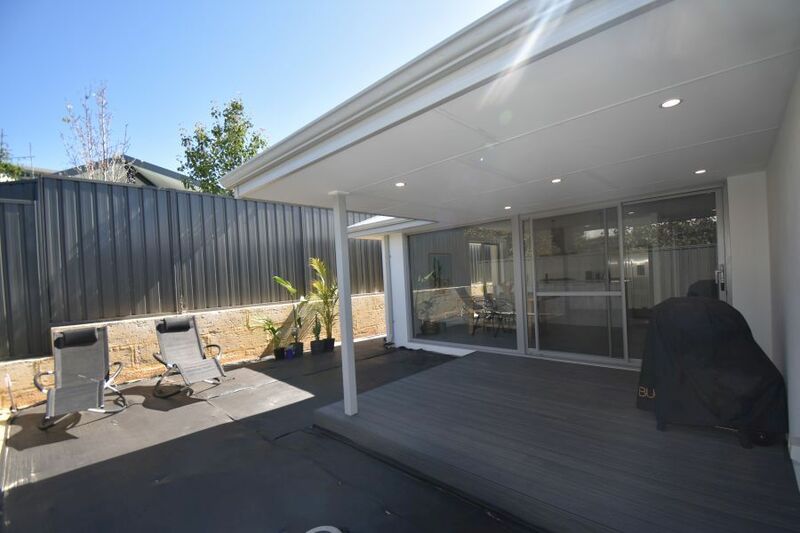 There is a remote double garage with rear access through to rear paved area with washing line. 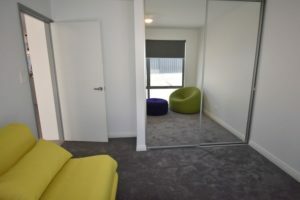 There is also a storage area to the rear of the property. The rear garden is to be landscaped shortly with artificial lawn, pavers and low maintenance native plants. 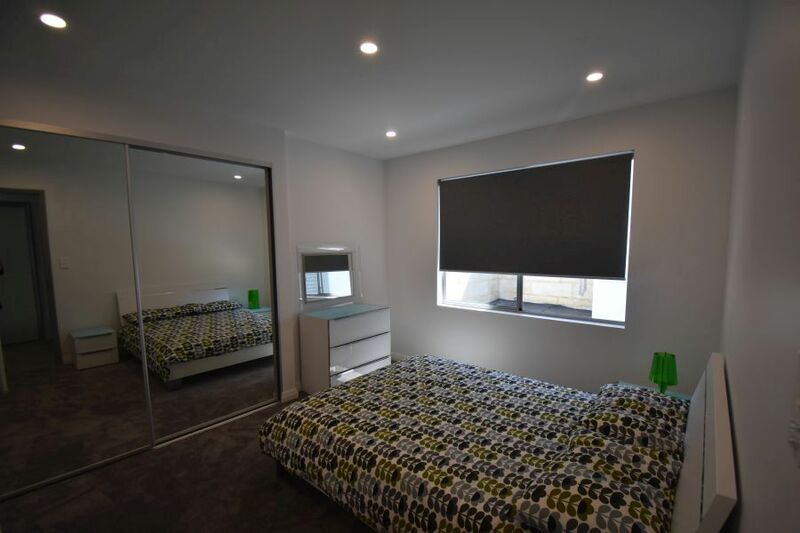 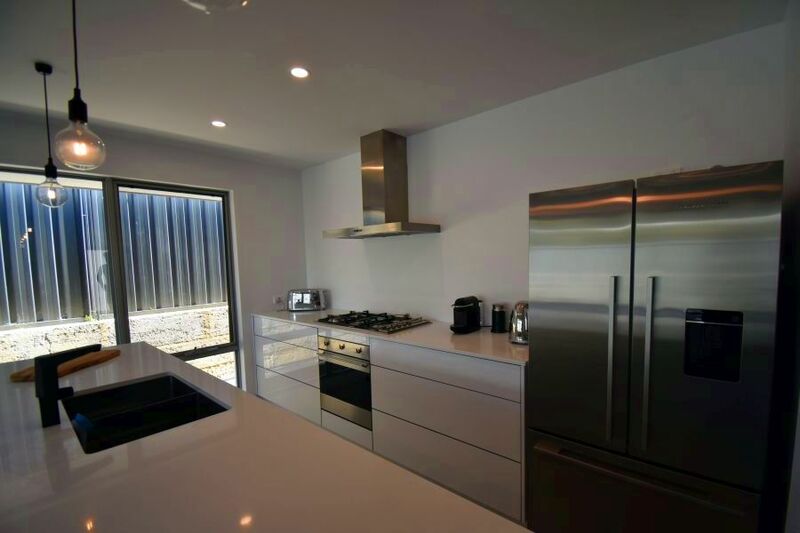 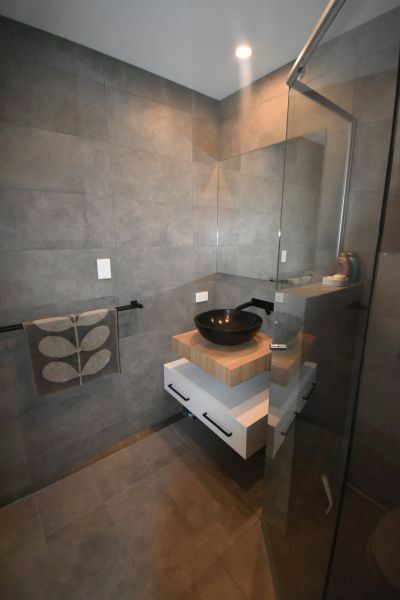 The property presents well with quality fixtures and fittings including split system reverse cycle air conditioning, roller blinds and plush carpets to the bedrooms.